In the early 1950s, Bob Larrabee began manufacturing cornerbead in Minneapolis, Minnesota and invented and patented the Original Cornerbead Tool. Bob and his wife Elaine were both born and raised in Minneapolis, but by the mid-1950s, Bob and Elaine were tired of the cold Minneapolis winters. So in 1957, Bob and Elaine moved to sunny California. With their station wagon pulling a trailer loaded with one cornerbead machine, Bob, Elaine and their two young daughters moved to Southern California. In 1957, with only one cornerbead machine, Bob began manufacturing cornerbead out of his garage in Torrance, California. In 1960, Bob built a manufacturing building on Parker Street in Orange, California and moved his cornerbead manufacturing from Torrance. By 1969, CCCorp. / American Cornerbead Company outgrew its Parker Street location and Bob moved the cornerbead manufacturing facility to Grove Avenue in Orange, California where it still remains today. CCCorp. / American Cornerbead Company started with one building at the Grove Avenue address but now occupies five buildings. In addition to California, the Company now manufactures cornerbead in Charlotte, NC and distributes cornerbead from facilities in Atlanta, GA, Orlando, FL, and Charlotte, NC. From one cornerbead machine over 50 years ago, CCCorp. / American Cornerbead Company now owns a large variety of cornerbead machines and manufactures an awesome array of cornerbead profiles used by the drywall construction industry. CCCorp. / American Cornerbead Company is the only cornerbead manufacturer in the United States that owns its own electro galvanizing coating line. This vertical integration provides CC Corp with a greater degree of control over the quality of the coated steel that CCCorp. / American Cornerbead Company uses to manufacture its cornerbead. 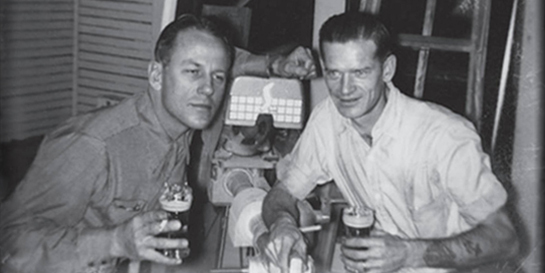 From its humble beginnings in 1957 with one cornerbead machine, CCCorp. 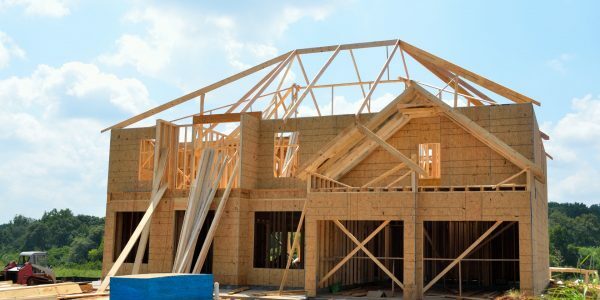 / American Cornerbead Company has grown into an industry leader thanks to the support received from the drywall distributors and contractors the company has had the privilege to serve. Since its founding, the CCCorp. / American Cornerbead Company has remained privately owned. Headquartered in Orange, CA, CCCorp. / American Cornerbead Company has been manufacturing drywall corner trims since the mid 1950’s. CCCorp. / American Cornerbead Company has gained a reputation as a manufacturer of high quality Bullnose and traditional cornerbeads. We also manufacture a complete line of paper faced nail-on and tape-on profiles. 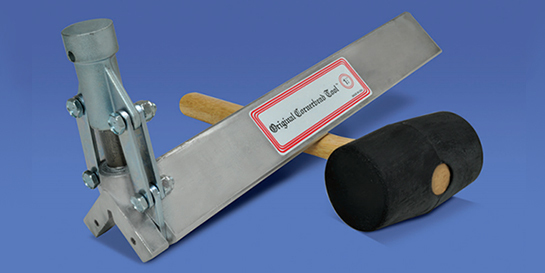 In addition, we carry drywall accessories including corner caps and The Original Cornerbead Tool®. Our complete line of bare metal and paper faced trims allow our customers to choose the products that are best suited for their needs. Our continued goal is to provide our loyal customers with the highest quality trims on the market, allowing them to use our products with the assurance of no call-backs and ease of application. We will also strive to provide unparalleled service and technical support to our customers. In addition to our facility in California, we also have distribution facilities in Florida, Georgia, and North Carolina. 2655 Irlo Bronson Memorial Hwy. We sell only to drywall distributors. Many of our competitors will take customers away from the distributors by selling directly to contractors. When manufacturers skip the distributor and sell directly to the large drywall contractors, they create an unfair disadvantage for all other contractors. We sell only to drywall distributors! Our sales force calls on drywall contractors to obtain an understanding of their needs, to provide guidance on the use of our cornerbead products and to recommend that the drywall contractor purchase their drywall products from our distributors. We manufacture a wide array of cornerbead profiles and maintain a large inventory so that our distributors’ orders are complete and ready for will call and/or shipment within 24 hours. Our ready-on-demand production system allows our distributors to keep low inventories of our products and to maintain the high inventory turns preferred by their corporate officers. We engineer and manufacture our cornerbead with the objective of improving the proficiency and efficiency of the drywall contractors using our products. Our manufacturing methods and our array of cornerbead profiles help our drywall contractors to reduce their labor installation cost and minimize the amount of joint compound used to install our cornerbead. Our cornerbead nose design, bow design, mud adhesion and rust prevention coating increase the drywall contractors’ efficiency and reduce their installation cost and their number of callbacks. 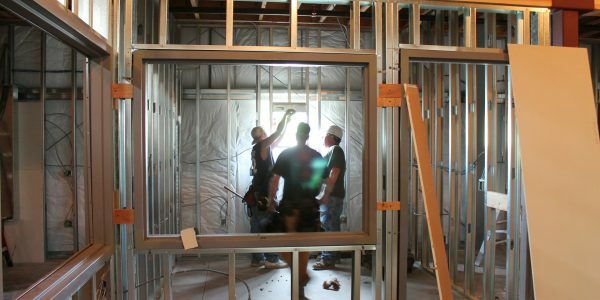 The needs of drywall contractors drive our cornerbead engineering and manufacturing systems. The full line of CCCorp. / American Cornerbead Company products is available exclusively through our network of distributors.